Light weight, non greasy formula. Hydrates and absorbs quickly. Can be use by women and men with all skin types. 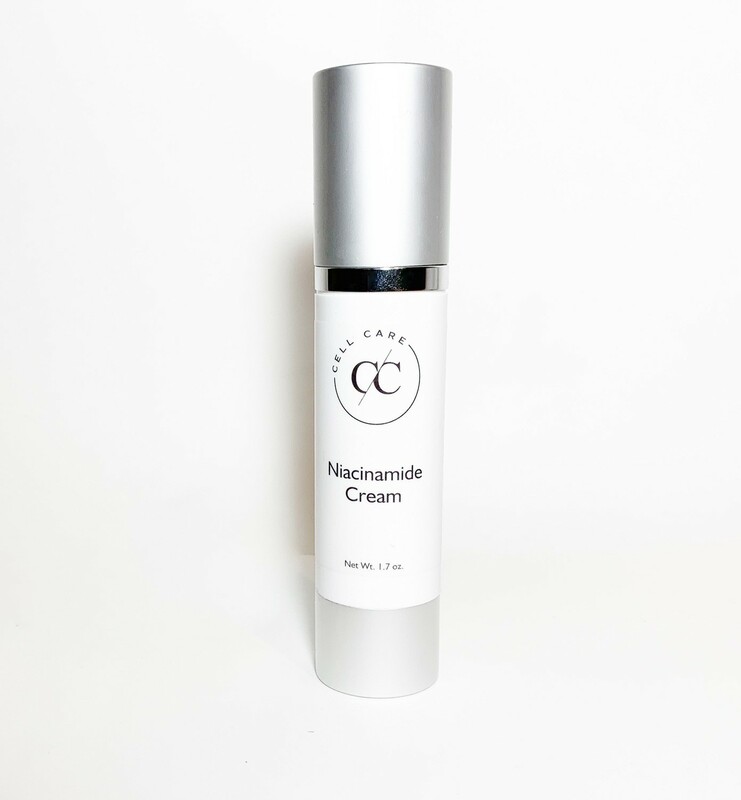 Niacinamide may help with a number of skin issues like boosting the immunity of your skin, improve epidermal barrier performance, improve redness and blotchiness, regulate oil flow, hyper-pigmentation, minimize lines and wrinkles, dull and shallow skin. We guess you could call it a miracle cream! Suggested Use: Apply twice daily to clean skin. Suggested Precautions: For external use only. Sensitive or acne prone skin may experience some stinging. Avoid direct contact with eyes. Rinse with water if direct eye contact occurs. For adult use only. Keep out of reach of children. If swallowed, get medical help right away. Stop use and consult a doctor if rash or irritation develops and persists. Ingredients: Deionized Water, Caprylic/Capric Triglyceride, Niacinamide, Polyacrylamide, C13-14 Isoparaffin, Laureth-7, Lecithin, Alcohol, Glycerin, Phenoxyethanol, Aloe Barbadensis Leaf Juice, Diazolidinyl Urea, Iodopropynyl Butylcarbamate, Tocopheryl Acetate.